But she can’t shake the female-focused narratives that have captured her attention “organically,” she says, from The Wedding Year with Sarah Hyland to the feminist film Egg (which premiered at the Tribeca Film Festival in April) to acting in fellow Barden Bella Brittany Snow’s short Milkshake. After speaking at a Serta mattress sweepstakes launch in Hollywood, Camp talked with The Hollywood Reporter about her upcoming projects. 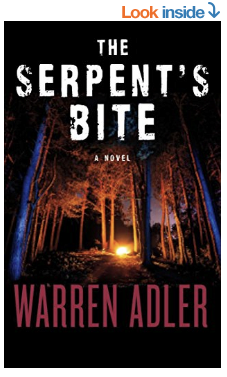 Camp optioned the Warren Adler book The Serpent’s Bite, which she’s been adapting into a thriller film — with producing and acting credits — for the past two years. True Blood‘s Scott Winant signed on to direct and produce, she says. The 2016 book follows father George Temple as he tries to reconnect with his two adult children, Courtney and Scott, by taking them on a strenuous horse ride through Yellowstone National Park. You just wrapped The Wedding Year. What was that like? I was super excited to work with the director, because one of my favorite movies of all time is Legally Blonde, and Robert Luketic directed it, which was amazing to get to work with him — he is hysterical. I got to be Sarah Hyland’s boss/best friend, and I’ve always loved her from Modern Family. And I feel like we had great chemistry. We just laughed and laughed and laughed on set the whole time. They had to get us to like focus, be like ‘OK, you guys, stop laughing.’ So that’s always a good job to go to when you can’t stop laughing. They have the new Legally Blonde coming, too. I just heard about it. I would die to be in any part of it. I think Reese Witherspoon is incredible and obviously Elle Woods is one of the most iconic characters in cinema history. Now you’re working again with Snow on Milkshake? It’s a short film that she wrote and directed, and I get to play a sort of overbearing stage mom of a daughter and what it means to kind of pull your kid out of a normal life and take them to L.A. My character is a bit living through her daughter, so she loves her, but she’s a little bit disconnected from whether her daughter is truly happy or not. So it’s kind of got some dark elements. It was just really great working with Brittany as a director, because I know her as an amazing actress and one of my best friends. But to have her direct me, and ask me questions, and to really be there to fulfill her vision of what she wanted with something, I felt really honored that she gave me that job. She trusted me as an actor to do it. I haven’t seen it, but she’s just finished editing it, and she really wants to show me, so I’m really excited. What was her style as a director? I loved that Brittany would come over when she gave directions. She would get close. And she would act with her hands, you know get right in there, “Just do what you’re doing and don’t be afraid.” She was really adamant about all of the actors on set not being afraid to really go there and to push themselves, because it can be highly emotional in some of the scenes. She was really supportive like, ‘You can do no wrong,’ like, ‘Fly, my friend.’ When you have that kind of support, you can really feel free to do whatever comes out and hopefully that will make it into the movie and those will be the best parts. Yeah, I would love to direct. I directed a little bit in college, but I haven’t had the time to do that yet. But definitely she’s inspired me to want to be able to do that. I just have to get an amazing script and figure out what to shoot. And what about Egg, when will we be able to see that in the nonfestival world? I don’t know. I haven’t heard if it got bought or what. Hopefully it will be on iTunes or Netflix or something, but it’s really, really good. Christina Hendricks and Alysia Reiner are incredible. And it’s just such an amazing statement on female motherhood and what it means to be a mother in the modern world, and how there’s so many other options you can choose from these days. It just hits some controversial buttons that I think people really need to hear and talk about. It will start a conversation for sure, which is what I think any good film does, get people talking. What drew you to your role Kiki specifically? Kiki is funny. She’s kind of a wild card in the movie. It takes place over basically one night and I play this surrogate that Alysia Reiner’s character has hired to carry her baby for an art piece. So if you can imagine, my character is a little kooky. And she’s willing to be a part of this nonconventional family, and she wants to raise the child, so she’s going to raise the child, but it’s not her baby. Then things ensue where you don’t know if the husband actually has feelings for me. I’m actually dating another guy. Kiki is a mess — I will say that much. She is a total and complete mess. Why did you want to play her? Because I’m not a mess, hopefully, in real life, so it’s nice to play someone who is completely the opposite of me. And she has a really good ringtone. In the movie, there’s a funny moment. It’s like this crazy weird rock music. I love her, but I would be embarrassed to be Kiki in real life. You mentioned it touches on controversial issues, and it does have a strong feminist message. Is that something you look for in your work? I think now especially, I want to choose projects that represent women in a light that either we’re learning something about them or they’re making a statement. I’m not afraid of tackling issues like that by any means, but I think now in today’s climate, it’s incredibly important to choose roles that represent women in powerful ways and also stories that do that. I’m not against being in a story where the character, for the greater good, is showing what it means — like Kiki is definitely not the feminist woman in this movie, but the movie in general is teaching a lesson. So no matter what, it’s important to choose roles that show women in enlightened, powerful, passionate and dynamic roles. You’ve done a lot of positive female films, with several female directors as well [Snow, Elizabeth Banks for Pitch Perfect 2 and Marianna Palka for Egg]. Has being on Pitch Perfect or perhaps the #MeToo movement changed your relationship with the types of projects you want to do? I think it’s just come organically with the world, and what the audience is demanding is more female-led stories. So I’ve been lucky enough to be in those. I haven’t necessarily sought them out, but I think that there’s a huge wave right now obviously that is incredibly important in changing the landscape of the entertainment industry, and I am all for it and will continue to be in girl-power things as long as I possibly can. It must be a great set to be on. It is. You want to go to work where you believe in the story that you’re telling. It makes it easy to get up at like 4 in the morning when you have to go be on set when you really are passionate and enjoy it and can support it and talk about it. Because along with shooting it and being an artist and getting to express yourself creatively, you have to go out and then you have to promote it. And if you don’t believe in it, that’s the worst. Is there a type of project that you’re looking to do next? You’ve talked about breaking out of an uptight typecast. I’m trying! It’s the story of my life. It’s hard. I’m producing a movie for a book that I optioned. And we just had the writer turn in the first draft, and it is a darker, grittier independent family thriller. And I would play a character with an incredibly dark past who is fighting some inner demons, as well as some outer ones with her family. They go through a trek through the wilderness. That’s something that’s a passion project of mine that I am in the middle of producing to star in. It’s kind of like a baby. So I’ve been working on it for about two years now, so hopefully we’ll keep going, and we’ll be on set one day filming it. Well the book is called The Serpent’s Bite, and it’s written by Warren Adler, who wrote The War of the Roses. I don’t know if we’re going to keep the title for the film. We have the first draft of the script, and tomorrow we have a note session for three hours about making the script even better. Do you have a cast in mind? I do have cast in mind. Definitely. There’s a brother, there’s a very intense relationship with my character, and I’m always imagining Aaron Paul to play that part. I think he would be perfect. And like Jeff Bridges would be a great dad or Stellan Skarsgard or someone like that. So it’s mainly the three of them alone in the woods on this thriller trek. Her name is Courtney, and she is dark. I will say that much. She’s dealing with a troubled past and it’s just something that I can really sink my teeth into, and I don’t have to worry about putting on makeup in the morning or getting a blowout or wearing a cute dress, but it’s all about stripping down. So it’s something that I’m excited about and can’t wait to shoot. Why did you like the book so much? Read the Book Before the Movie!